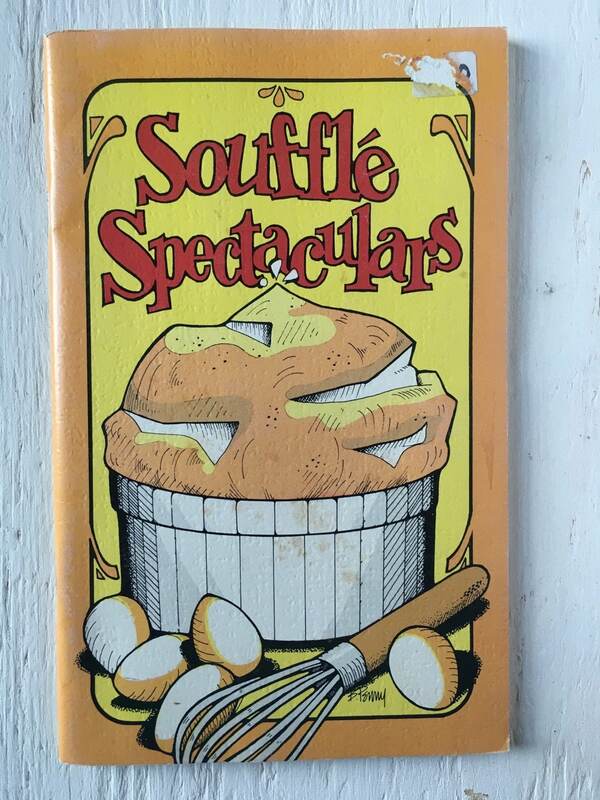 Published in 1977, Souffle Spectaculars Cookbook contains 48 pages of recipes and info on making soufflé's. If you have ever wanted to learn to make a soufflé, this is a great place to start. The book is filled with good recipes and nice B&W illustrations. This copy is in very good condition apart from having had a price sticker on the cover that pulled off a little and left residue, and there is slight discoloration on the back cover. The inside pages are clean, crisp and tight.